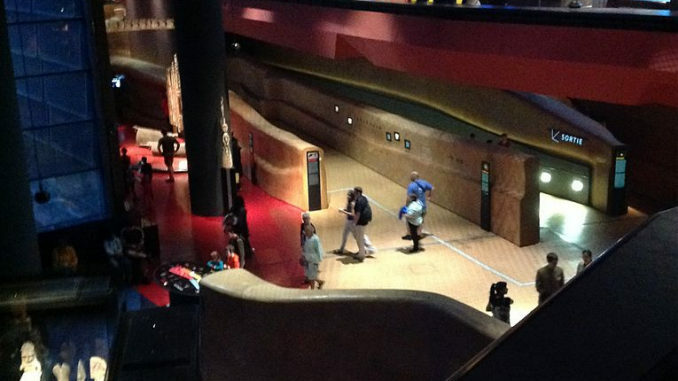 Musée du quai Branly. Wall of Plants and the green palisade by Patrick Blanc. It is one of the most beloved museums in Paris but no, it’s not the Louvre. It is one of the newest museums built for a maximum interactive experience and a modern audiovisual way of acquiring information. There is a tradition in France that its presidents sponsor either a new museum construction or an extensive renovation to serve as a monument to their time in office. President Georges Pompidou is the founding father of Centre Beaubourg Georges Pompidou. Jacques Chirac offered Paris a museum to fit the new century: the “Musée Quai Branly – Jacques Chirac” opened in 2006 and, unlike the “tourist traps” of the Louvre and Versailles, it attracts a lot of Parisians who would often have first come to this museum with their families and then became regular visitors. The museum is devoted to anthropological heritage and art of all continents outside Europe. It has had its share of controversies about its collections and the political role it plays in the French reconciliation of its colonial past or current ethnic conflicts but for a regular Parisian visitor it is mainly a source of a great cultural and educational experience. A visit starts with a walk on a “river of words” – a floor projection of over 16,000 names of peoples or places in many languages, with rivulets of letters trickling underfoot. While you are going upwards in the “words river” you wind around a central, tubular glass tower (24 m/ 78 ft) that stores 9000 musical instruments – there you can see not one but hundreds of tribal drums stacked together, or countless rattles from four continents – a most unusual sight. The journey into faraway lands and lost civilizations has begun. At the top of the “river” ramp you then enter sort of a winding lane in between “earthen walls” – a passage reminiscent of village walls in North Africa or Southwestern adobe structures. Small screens or peepholes in those walls allow viewing short ethnographic movies or photos. Unlike traditional museums where art is carefully stashed in glass cases, many objects here – totemic poles, temple doors, stone statues, saddles and masques – are displayed right on the floor. You can walk around them, see them without any glass barrier and compare them with other objects nearby. Artifacts are grouped by regions (Oceania, the Americas etc.) and within those areas there are thematic collections, for example an amazing grouping of Australian aborigine bark paintings, or Chinese tribal jewelry, or ceremonial sculptures of equatorial Africa. There are fragments of documentary films that show an object in its use (e.g. a tribal dance or manufacturing of tools), ethnographic photos or documents, sometimes recordings of songs and folk music. Various areas of the building (a ceiling on the third floor, a library terrace, one of the front walls) have been recently been painted by Australian aboriginal artists – a project that stressed Branly’s role as ongoing anthropological showcase. The Branly is a high-concept museum. It is not just a depository of historical artifacts, neatly described and catalogued. It is a result of many ideas and considerations, e.g. how to put a large, new structure in the middle of crowded Paris that is at the same time ecological, eye-pleasing, modern and would fit between the existing landmarks of the Eiffel Tour and historical bridges on the Seine river. Another consideration was how to choose and to display thousands of artifacts in the collection (it comprises of 300,000 objects, out of which 3500 of masterpieces are on permanent display) to make them interesting and respectful of their origin. There are three themes throughout the museum – discovering and collection (Western explorers’ discovery of other lands, first-hand accounts of contacts, early ethnographical research), inhabiting (how did various peoples make their land habitable or what power struggles they had) and journeying (visiting the world of ancestors or connecting to the spiritual world). Tribal masks, costumes, jewelry and decorative art illustrate those notions and give testimony to human inventiveness and perpetual yearning for art and decoration. Even the simplest tools (a leather scraper or a harpoon support) are carved or decorated – the human need to meld the environment and to decorate objects is universal in space and time. Designed by a French architect Jean Nouvel, the outside of the museum matches the inside – it is bold, modern, full of striking ideas and memorable. The entire complex consists of several irregularly shaped structures, one of them right on the river wharf has a wall of plants growing out of the stone facade, another wall has 30 colorful boxes sticking out above glass panels (on the inside they are special thematic exposition spaces), there is also a huge terrace overlooking the Eifel Tower and painted in aborigine art, an ecologically planned garden (in fact the entire museum has an ecological mission of using and reusing recyclables) and a research facility all painted by contemporary aboriginal artists. The building itself is part of the experience – full of little surprises and respectful of the natural resources and environment. 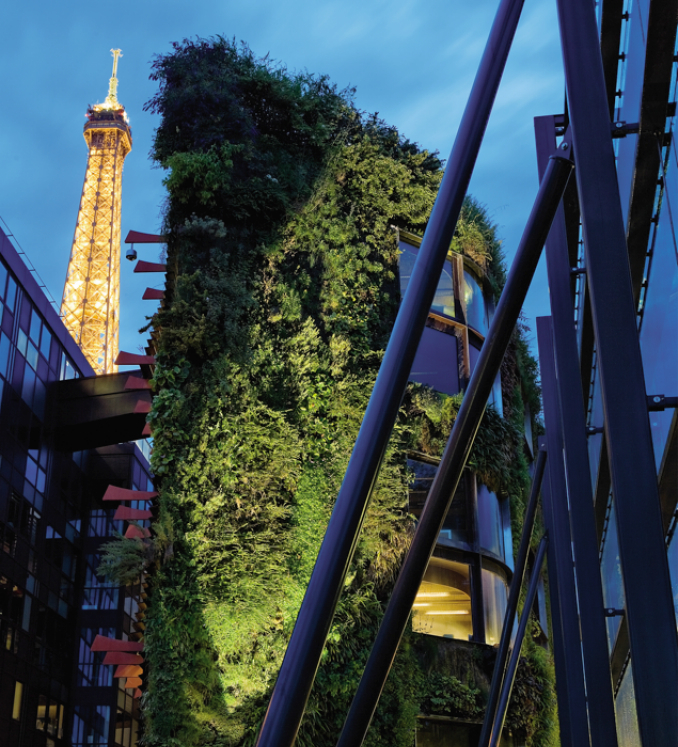 The joy of visiting the Branly is in the sense of discovery. You suddenly make connections between different motifs, learn the meaning of some ritual, behavior or custom, get to admire craftsmanship of some nation centuries ago that you did not even know that it existed. Earth is full of lost civilizations. 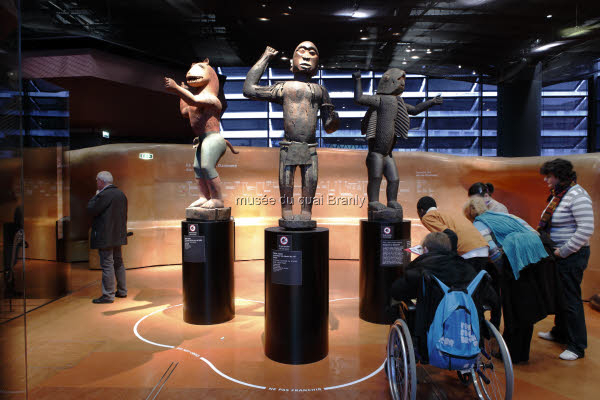 A place like the Branly brings them back a little – to inspire creativity, to teach the respect of different beliefs and cultures, to give spiritual insight into different visions than well-known religions. Many museums have this mission, few of them are so much fun as the Branly is. The museum is also famous for its temporary exhibitions that are as creative as the permanent displays – the one about tattoos made rounds of many other world museums, the current one about Asian ghosts and hells is so impressively creative that it will probably travel to other cities as well.